Congratulations to the 2018 AAUP-UC scholarship winners! The Virgil C. Crisafulli Scholarship for leadership and service in the spirit of the AAUP was awarded to Hermina Garic, nominated by Helen Blouet, Associate Professor of Anthropology and Luke Perry, Professor of Government and Politics. 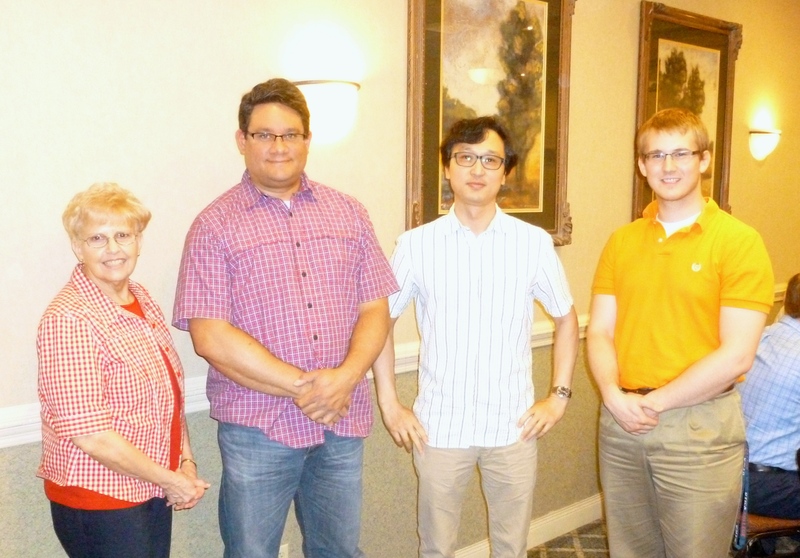 Pictured here with Lawrence Day, Associate Professor of Physics and member of the Scholarship Committee. The Robert W. Millett Scholarship for Academic Achievement was awarded to Marissa Faroni, nominated by James Smith, Professor of Physical Therapy (both pictured below). While any nominee should have both an outstanding academic record and an interest in service to the community, the emphasis is different, with the Millett scholarship highlighting the academic and the Crisafulli highlighting service. A subcommittee of the governing board reviews the nominations and determines the winners of the scholarships. 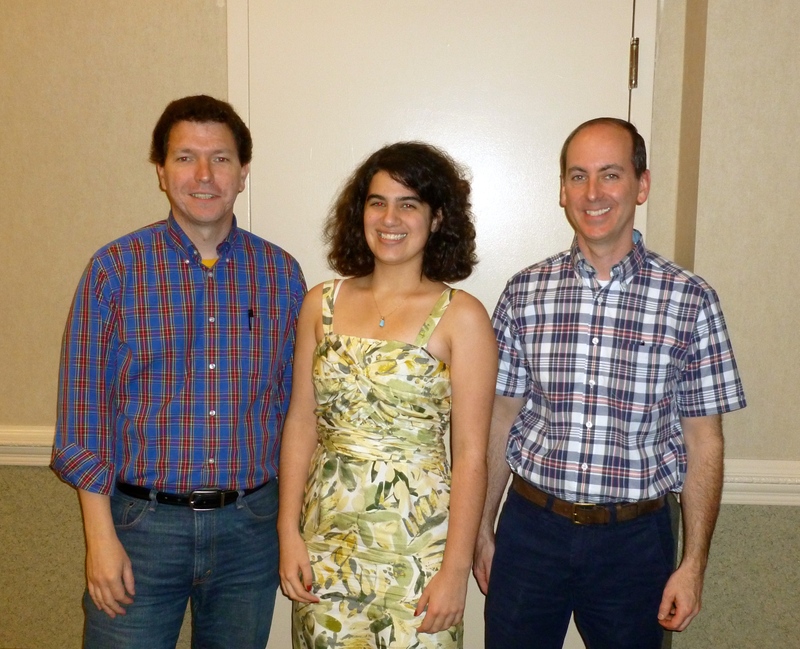 The Virgil C. Crisafulli Scholarship for leadership and service in the spirit of the AAUP was awarded to Elise Burby, nominated by Lawrence Day, Associate Professor of Physics. The Virgil C. Crisafulli Scholarship for service in the spirit of the AAUP was awarded to Francis S. Bartkowiak, nominated by the Utica College Computer Science Department. The Robert W. Millett Scholarship for Academic Achievement was awarded to Rose Zaloom, nominated by Gary Leising and Jim Scannell. The Virgil C. Crisafulli Scholarship for service in the spirit of the AAUP was awarded to Elaine Paravati, nominated by Arlene Lundquist. The Robert W. Millett Scholarship for Academic Achievement was awarded to Matthew W. Rogers, nominated by Paul MacArthur and Alan Goldenbach.